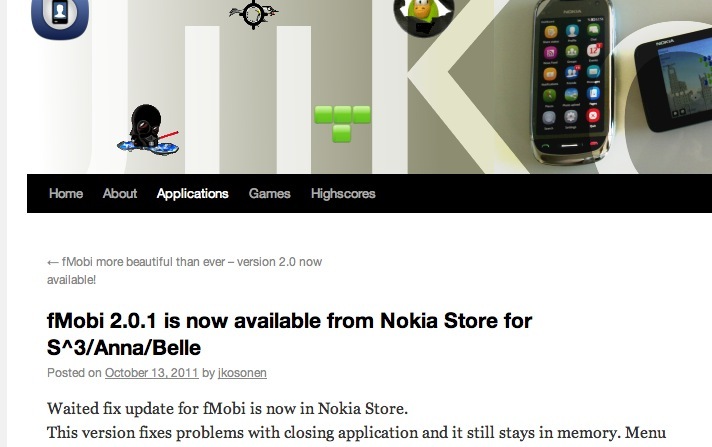 Waited fix update for fMobi is now in Nokia Store. This version fixes problems with closing application and it still stays in memory. Menu screen status update is also updated. One language added and some minor tweaking in some languages. Now for S^3/Anna/Belle, fix for S^1 coming also soon. Thanks Subraj for the tip! « Nokia Sleeping Screen now at Nokia Store.